Here’s a woman named Gianna Jessen who has a powerful story to share. 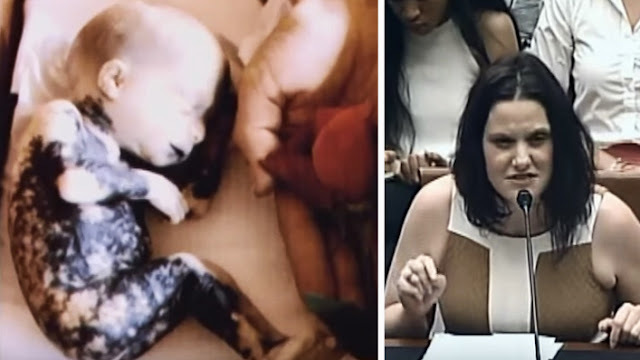 This story was told as part of testifying to show what happens when a mother has a late term abortion, yet the child ends up actually surviving that abortion. The child is Gianna Jessen. She is now an adult and due to the lack of oxygen during the attempted abortion, she now has cerebral palsey, which she actually considers “a gift.” She was not expected to lift her head or even talk, yet here she is. Turns out if the doctor had been present at the office when it was discovered that Gianna had survived the abortion, he or she would have used strangulation or some other method to finish the job. Instead a nurse present, had her rushed to the hospital, and now several years later, she is here delivering a powerful, yet very upbeat and positive testimony. Really a must watch as you have to consider the fact that Gianna was never meant to be here, and was intended to be terminated, even after surviving the initial saline based abortion method. Listen to this woman’s powerful and moving story and share with friends and family to show how precious all lives really are. This post was republished from enlightened-planet.com. You can find the original post here.